An amazing friend gave me an amazing book for my birthday and I finally finished reading it/drooling over it. An intimate and revealing collection of photographs of astonishingly beautiful, iconic, and undiscovered mid-century interiors. Among the myriad studies of significant mid-century interiors, none are more celebrated yet under-published as the homes created by architects and designers for themselves. This new collection of photographs presents the most compelling homes by influential mid-century designer such as Russel Wright, Wharton Esherick, George Nakashima, Harry Bertoia, Charles and Ray Eames, and Eva Zeisel, and allows a personal glimpse of the private spaces in which they chose to spend their lives. If you're redoing your kitchen, it never hurts to see what the Eames' kitchen cabinets looked like. 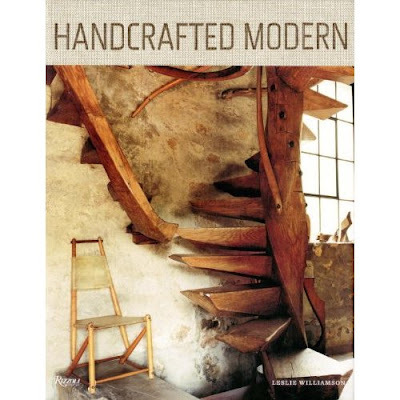 If you're trying to figure out how to add more character to a mid-century home, so it's not just all clean lines and peg legs, this book is the answer. If you want to see true function of space, these homes will blow you away. The one drawback of this book is a problem I have with a lot of things I love: Sometimes the artists who influence the artists you love aren't your cup of tea. As long as you don't expect to love every photo or home in this book, you should flip through every page. I love it! It's my new guide for home projects. Thanks again.